Wake up your senses and experience joy and peace thru a day in nature in beautiful Montana. 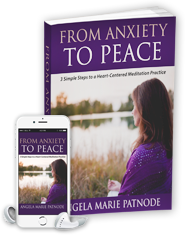 Bring meditation into your everyday life with guidance and support through this powerful e-course. Benefits include, but not limited to: stress reduction, lower heart rate, better sleep and more joy. Open your heart through the Buddhist teachings of the 4 sublime abidings: loving kindness, compassion, empathetic joy and equanimity to be free to love. This self paced e-course can be started today!